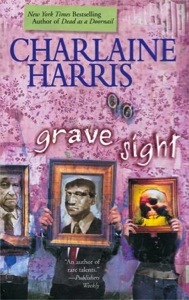 CBS is developing a new TV series based on the Harper Connelly series of books by Charlaine Harris. Like the first novel in the series, the show will be called Grave Sight. She’s referring to executive producers Ridley Scott and Tony Scott, who are also working with Naren Shankar (CSI), David Zucker, and writer Kam Miller (Law and Order: SVU). The mystery novels follow Harper Connelly and her stepbrother Tolliver as they travel around the country helping find missing persons and solving murder cases. Kind of like Sookie Stackhouse, Harper has a special gift. Since being struck by lightning as a teenager, she has the ability to sense dead bodies and see how they died. Tolliver assists her in their consulting business, and the two stepsiblings have a close, but complicated relationship. The overarching mystery across all four novels is their search for Harper’s sister, who disappeared on her way home from school and has never been found. This is really good news, right? I could see Grave Sight becoming a hit show like The Ghost Whisperer or Medium. Are you excited to see a second Charlaine Harris show on TV?